Erasmus Debating Society Rotterdam, Leiden Debating Union and Amsterdamse Studentendebatvereniging Bonaparte are the Dutch participants in the series. 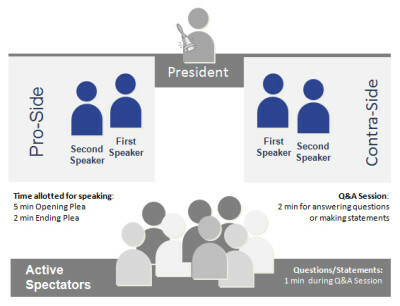 The project focuses on the cooperation of debating clubs from 8 European countries: the 22 debates will be conducted by the clubs of the VDCH in Germany, Austria, Italy, Sweden and France, as well as three European partners, Habla y Debate Spain, IDEA Nl and the Poland Debates Foundation, coordinated by Bürger Europas e.V. Curious? Have a look at what the debates look like in this video.